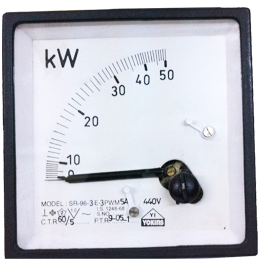 Our Powerfactor and wattmeters are based on dynamometric principle and comes in both single phase and three phase models. Dynamometric instruments for measurement of absolute power in single phase and three phase systems for balanced/unbalanced load conditions. Movement Type : Current coil in series of load & pressure coil across the load. Work on “Air cored Electro-Dynamometric” principle.